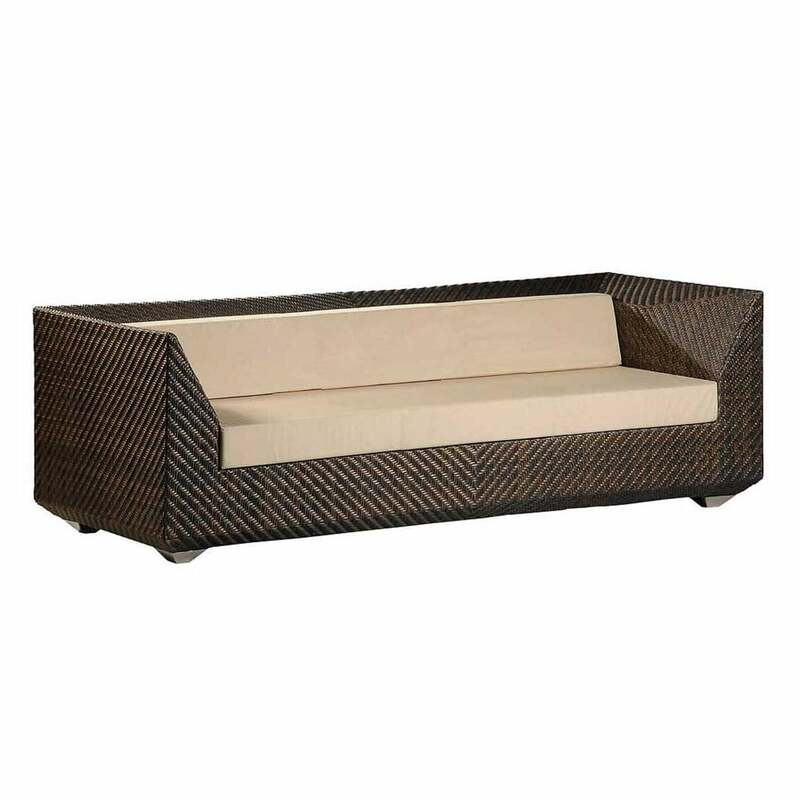 Alexander Rose Ocean Maldives 3 Seater Sofa: The Alexander Rose Maldives 3 Seater Sofa is part of the Ocean Collection which comes in a sophisticated and high quality design that can be combined with other items from the Ocean range to complete a full stylish garden set. The Maldives 3 Seater Sofa comes in an elegant ‘V’ and open weave pattern for a unique design, with 7mm & 12mm flat triple tone bronze rose fibres on a powder coated aluminium frame. The Alexander Rose 3 Seater Sofa has a sleek appearance with cosy oatmeal olefin fabric cushions to provide additional support and comfort.